In this happy presentation, Brother Francis invites us to share in the realities of the Sacrament of Baptism and the union it provides us with God's big family! This episode includes: In the Garden, Ive Got a Family, Jesus is the Light of the World, and How We Celebrate the Sacrament of Baptism. 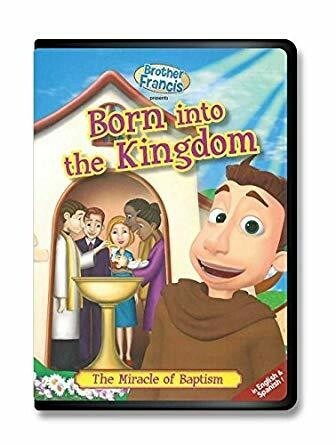 Filled with instruction and inspiration, "Brother Francis: Born into the Kingdom" is a great reminder of God's wonderful grace!